Spring has finally arrived in Minnesota. Several days of rain have helped plants to grow. 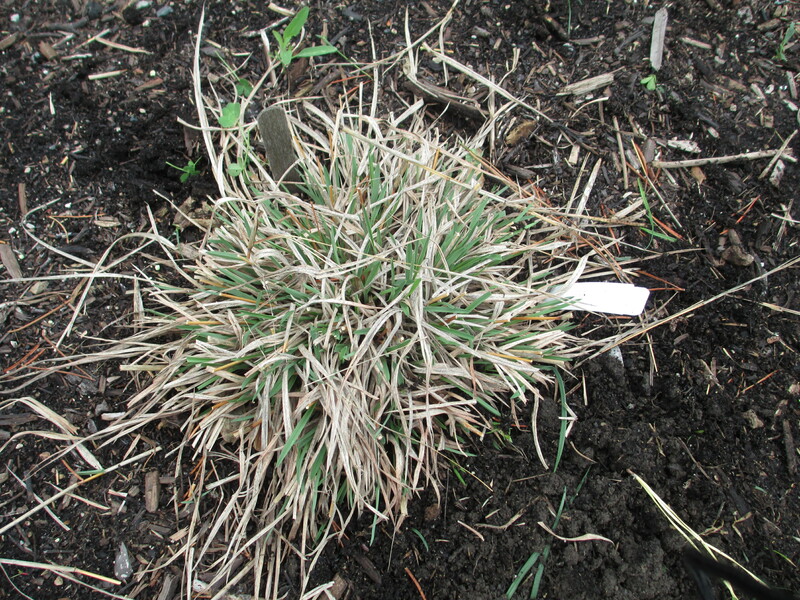 Some green on little bluestem, see below, in the National Grass Trials, but switchgrass has not started to grow. We should be able to burn the switchgrass this week. Little bluestem was cut back since it was small and already growing. 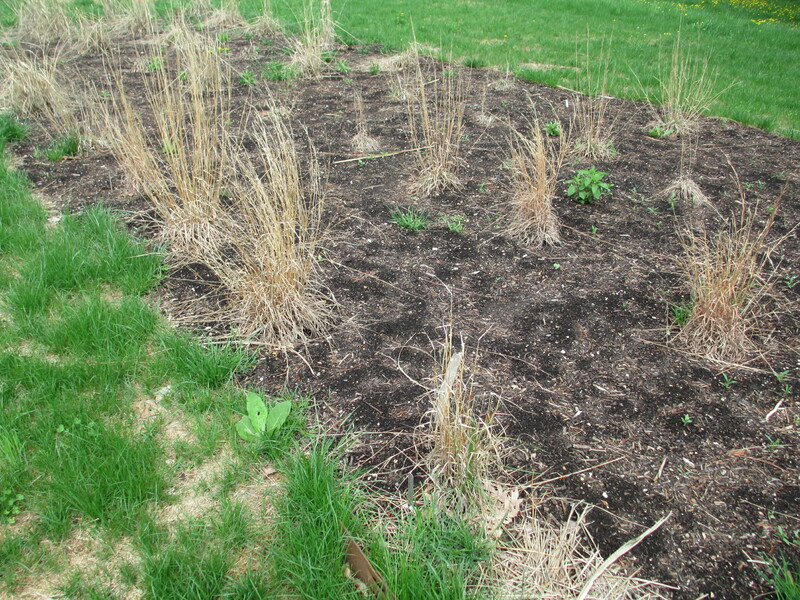 Do you always burn the switchgrass before it starts to grow? Why? YES, we burn the tall warm season grasses off in the spring, usually in mid April. Slow start this year! They have to be cut back or burned and burning makes more sense with the large collection we have. The National Grass Trials are not so large this year, but next year the plants will take a lot of work cutting back. We get a burn permit and we have a crew that burns the prairie here as well. Grasses are rejuvenated with a burn, as long as it it before new growth starts.